St John the Evangelist is a familiar figure in art, even if Dan Brown was unable to recognise him in Leonardo's Last Supper. 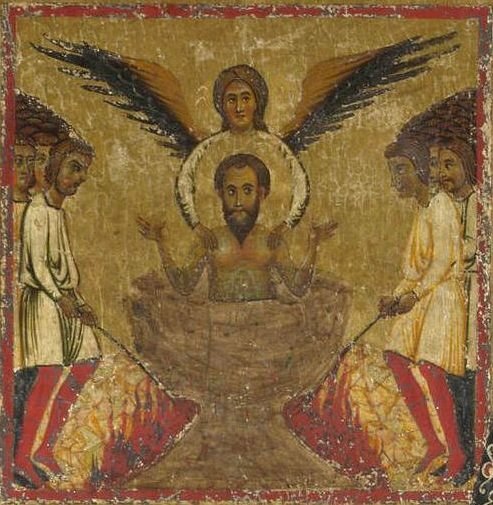 Popular images of him are at Christ's Crucifixion, and busily writing the Book of Revelation on Patmos. The scene with him boiling in oil in Rome appears occasionally; Durer has a woodcut of it. 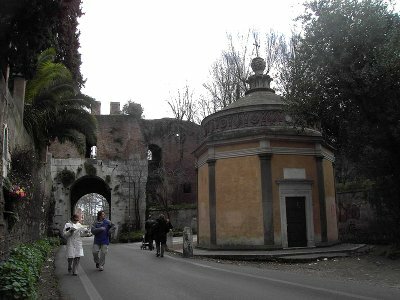 As The Golden Legend tells us, the event took place outside the Porta Latina. The site is marked today with an oratory of 'St Giovanni in Oleo', and there is a church dedicated to St. John nearby. The raising of Drusiana is a much rarer image. 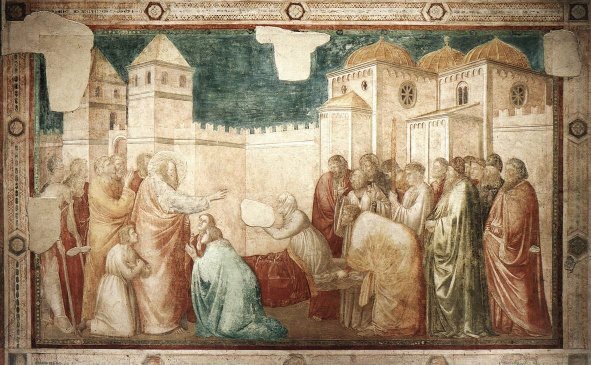 In view of Vasari's comments on Margarito's dated style, it's interesting to contrast his version with that of Giotto in the Peruzzi Chapel, Santa Croce, Florence. Vasari was right! When the apostles separated after Pentecost, John, the beloved of Christ, went to Asia and founded many churches. The emperor Domitian heard of his fame and summoned him to Rome. There, outside the Porta Latina, he had him plunged into a cauldron of boiling oil. The blessed John was completely unhurt. Seeing that this even had not prevented him preaching, Domitian exiled him to Patmos, where he wrote the book of Revelation. On entering the city, a woman named Drusiana, who had been a close friend of John and had been looking forward to his return, was being carried to her burial. The woman’s family, and the widows and orphans of the city, spoke to John. 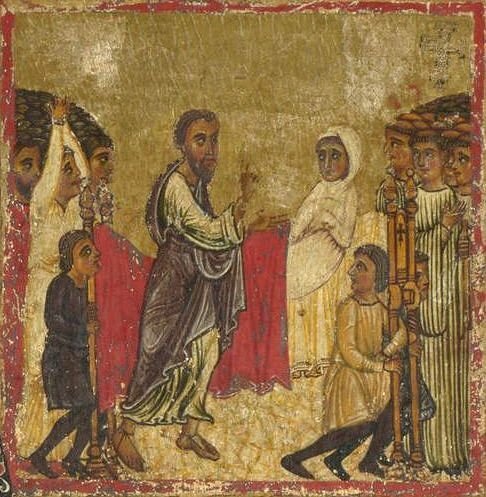 Drusiana got up and went straight home, as John had commanded. She felt as if she had woken from sleep, not from death.